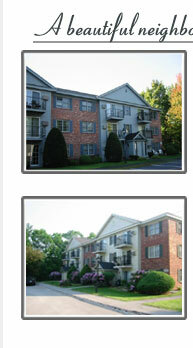 Welcome to Oak Hill Condominiums in Nashua NH. We are conveniently located off of Spit Brook Road within minutes of Route 3 exit 1, Restaurants, Shopping, and Public Transportation. This well-established community is a favorite! Oak Hill is adjacent to a city park called Roby Park, and is surrounded by wooded conservation land that offers miles of hiking trails! The Oak Hill community is set on 40 beautifully landscaped acres with an abundance of trees, flowering shrubs, and lawn areas. As soon as you arrive, you will see the beauty of the established landscape. Our community consists of 252 garden style condominium units with a clubhouse, swimming pool, and two tennis courts. We have a variety of condominiums including 1 bedroom junior suites, 1 bedroom deluxe units, and 2 bedroom units; some units are available for rent. We hope you make Oak Hill your new home. Yes! There are some units available for rental. Click here	to view a vacancy list. This is the official website of the Oak Hill Condominium Association, managed by Stewart Property	Management. OakHillCondominiumsNH.com - OakHillCondosNashua.com - OakHillCondoNH.com. If you have any questions about this property, contact us at 603-888-6775 or oakhillnashua@hotmail.com.